“I’m not happy about it,” said Brian Wynne, president and chief executive of the Association for Unmanned Vehicle Systems International, the industry’s leading trade group. The process needs to move forward, he said in an interview, because so many commercial applications are in a holding pattern until new rules are approved. The industry’s frustration, expressed in recent interviews and formal recommendations by an FAA-chartered advisory group, partly stems from technical challenges. Delays also result from skepticism among some law-enforcement and national-security agencies about the safety or reliability of proposed airborne-identification systems. Commercial rivalries further impede consensus, extending the timeline. 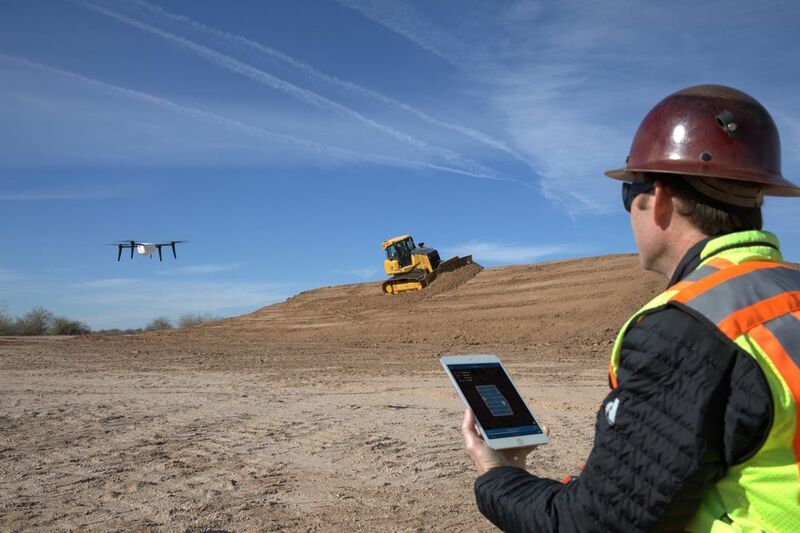 Until such issues are resolved, industry proponents worry many promising market segments—including potentially lucrative applications that depend on flights beyond the sight of ground operators—will remain off-limits for commercial drones. “There has been a process of kicking the can down the road,” according to George Mathew, chairman and chief executive of Kespry Inc., a drone startup specializing in industrial and other applications. The FAA could propose standard regulations as soon as this month that would allow small drones to fly over crowds and populated areas, with a preliminary proposal for remote identification rules expected to follow within months. An FAA spokesman said the rules will be designed to keep other aircraft and people on the ground safe. The FAA was convinced it was on a good path in late 2017, with the goal of wrapping up the entire effort in a year or so. But in spring 2018, after senior Federal Bureau of Investigation officials balked at proposed safeguards and demanded tougher requirements to identify potential terrorists or hostile operators, FAA managers had to recast their proposal. Consultant Jim Williams, the former head of the FAA’s unmanned aerial systems office, compares identification standards to “an electronic license plate.” But he said industry arguments continue to simmer over whether the best approach is to rely on sensors embedded in drones or to develop a hybrid, low-altitude traffic-control system that includes ground-based elements. I am a private pilot, so I certainly have my issues with the Federal Aviation Administration. But, this really is a tough one. I also plan to get a commercial drone license. Technology is moving very rapidly, government, not so much. We now have flying cars (Terrafugia), flying taxis coming soon. There are huge differences in drones, just google commercial drones. Like a lot of technology lots of great uses and reason for optimism. But, like most technology also great risk of dark and deadly impacts. Drones were easily weaponized in Syria. Your ding dong smoking a joint who wants to run his drone up to say 5,000 ft just for fun. I can say this for sure. When you are in a light aircraft coming into very busy metropolitan airspace anywhere in our country your traffic avoidance avionics light up like a Christmas tree, you are busy, the air traffic controllers are extremely busy. Throwing in a bunch more drone pilots and their machines into the works is a recipe for disaster. This is a fad. Pretty soon the gentry will tire of snooping on their neighbors, and fixing their busted up drones. Once the FAA/FCC/CIA/ADC starts clamping down on the use of these things, owners won't be able to fly them unless--like other radio-controlled aircraft--they're in a designated area. Just make drone operators use ADS-B out transponders in controlled airspace like manned aircraft. Also, make them have the ability to see and avoid other traffic and obey air traffic control commands. Otherwise, if they don't have such equipment, they should be restricted to a low altitude (99 feet or less), stay within line of sight, and stay away from airports. FAA Regulations are typically written in blood. Government bureaucracies operate at glacial speed. Drones are a problem and there are lots of grey areas -- despite the new FAA Funding bill. Drone pilots are now wise to Class G airspace and think that gives them carte blanche to operate in that airspace. They seem indifferent to the activities involved in non-towered aircraft operations. Flying up to or even below 400 feet in the vicinity of a final approach path is a recipe for disaster. The potential for plane-to-drone strikes are shrugged off as improbable, yet there are near misses galore and actual drone strikes do occur. Sedona (KSEZ) is a perfect example of tempting drone territory lying just a few hundred feet from the approach path to Runway 21. Commercial helicopter flights operate at KSEZ, as well as biz jets, military, and civilian. It's a beehive on some weekends and the last thing anyone needs is some nerd and his drone drifting into an aircraft's flight path. I predict there will be an incident and lives may be lost. There's an old saying that a camel is a horse that was designed by a committee. The FAA had best get its camel built and enforced. Pronto!